Aggressive driving is the primary cause of tens of thousands of accidents on the highways and other roadways of California each year. In our beautiful state’s larger cities, such as Sacramento, auto accidents caused by aggressive driving are responsible for altogether too many needless injuries and deaths. As a proud Californian and highly experienced personal injury attorney, Larry S. Buckley is appalled by the fact that so many innocent victims and their families have to endure physical, emotional, psychological, and financial hardships as a result of other drivers’ negligent or deliberately wrongful behaviors. He has devoted his legal career to fighting for the rights of those who have been wronged through acts of negligence, helping them to obtain compensation for their losses and expenses. 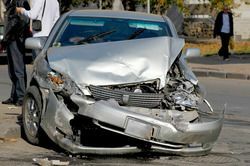 If you or a member of your family has been injured in an accident caused by reckless driving, or if you have lost a loved one in such an accident, Larry S. Buckley can help you, too. Many people think that “aggressive driving” and “road rage” are synonymous phrases. However, according to the National Highway Traffic Safety Administration (NHTSA), aggressive driving can be defined as any instance in which “an individual commits a combination of moving traffic offenses so as to endanger other persons or property.” In fact, most drivers witness actions that could be classified as aggressive driving every day they are on the road, and many drivers have engaged in aggressive driving themselves, even if they have never been involved in accidents as a result. These drivers should consider themselves lucky. In preparing claims against aggressive drivers, Larry S. Buckley uses all of the resources at his disposal to collect evidence and develop the strongest possible case on behalf of his clients. He and his legal team are highly skilled in investigating and reconstructing auto accidents, consulting with forensic and medical experts as necessary to building a compelling case. When you entrust your auto accident case to Larry S. Buckley, you can rest assured that you are giving yourself the best possible chance of recovering the full measure of compensation to which you are entitled under the law. To learn more about aggressive driving litigation or to arrange for an evaluation of your case, please contact the Law Offices of Larry S. Buckley today.